Revisions to the Immigration Control and Refugee Recognition Act which were passed in December last year will take force this April, and a new visa category of “Specified Skills” will be created. The Japanese government plans to bring in 340,000 foreign workers over the next five years under this system. 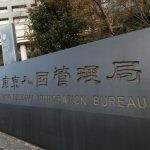 To coincide with the implementation of these revisions to immigration law, the Ministry of Justice’s Immigration Bureau will also be reformed as the Immigration Services Agency. With Japan facing an unavoidable labor shortage due to the rapid decline in birthrate and aging of its population, foreign workers have already become a necessity. What will be the significance of this new system, what changes will it bring about, and how will it impact Japanese society and its economy? The FPCJ has arranged for three press briefings on the topic of “Immigration Law Revisions and Acceptance of Foreign Workers,” with representatives of the government and industry, and an expert, as speakers. Part 1: "Immigration Law Revisions and Preparations to Bring in Foreign Workers"
Part 2: "Japanese SMEs and the New System"
Part 3: "Significance of and Issues with the New System"
*No car parking space available. Please use a nearby car park if necessary.